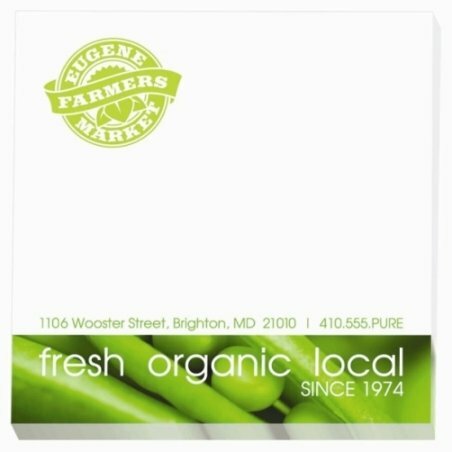 Brand name sticky note pad in a 3 w x 3 h size, 25 sheets per pad with a logo. Price includes std. four color process printing in an area 2 5/8" w x 2 5/8" h.